Identify the role of prefabricated insulated metal panels (IMPs) as an all-in-one water and air barrier enclosure with continuous insulation. Compare the construction benefits that IMPs deliver via a more simplified, cost-effective, and time-efficient erection process in addition to enhanced safety and less required manpower in the field. Describe the key full building enclosure, structural, and fire-performance attributes of IMPs. Explore the versatility and performance attributes of IMPs for retrofits and recladding. As an all-in-one prefabricated building enclosure, delivering full water and air protection, with continuous insulation to boot, insulated metal panels are a great option for most commercial and industrial buildings. Whether it’s office, health care, schools/higher education, retail, convention centers, stadiums, airports, light manufacturing, warehouses, food processing facilities, freezer buildings, and others, IMPs deliver a plethora of energy efficiency, durability, and aesthetic advantages. Architectural IMPs not only deliver high insulation values, speed of build, vertical and horizontal applications, but they also offer custom shapes and widths, colors and finishes, and fabrication, including but not limited to bent corners, curved panels, and trimless ends. Thanks to its insulating foam core sandwiched inside two sheets of coated metal, with no metal conductance from the exterior to interior skin, IMPs register the highest insulating value of any cladding material on the market. Delivering an aged R-value of 6.2 to 6.7 per inch vs. the 4.5 per inch for batt insulation, performance is essentially doubled, enabling projects to meet prescriptive insulation code requirements and those mandated by ASHRAE 90.1. 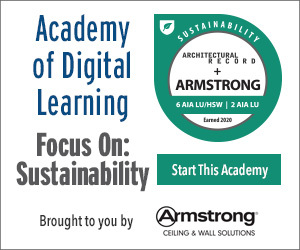 (Note: ASHRAE is not a code, it is a standard that can be adopted by codes). 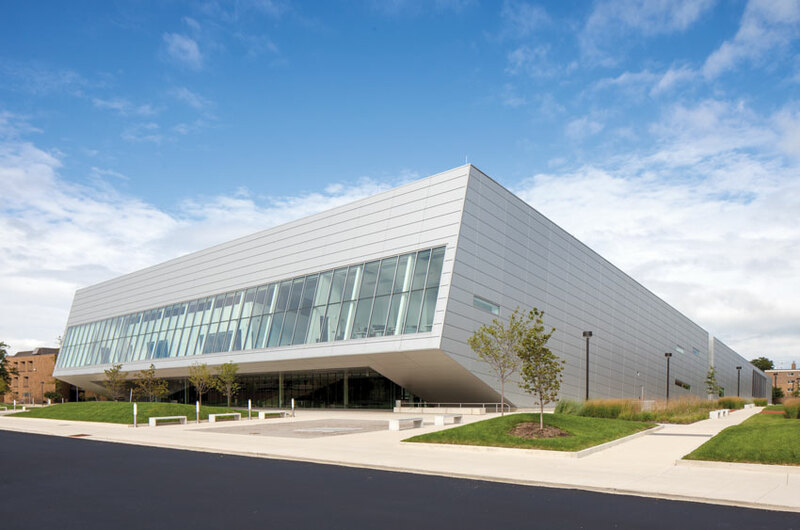 “These high-performing wall and roof systems increase overall thermal comfort for building occupants, while reducing energy consumption and wear and tear on mechanical HVAC equipment,” reports R.C. Antal, insulated panel manager, ATAS International Inc., Allentown, Pennsylvania, and Metal Construction Association (MCA) IMP council member. Furthermore, most polyisocyanurate and polyurethane foam cores used in today’s panels have zero ozone-depleting potential and offer enhanced physical performance. But beyond its role as a sealed air, water, and vapor enclosure with excellent thermal properties, building teams can also cash in on multiple construction benefits with IMPs. For starters, IMPs install in one step—as a finished wall, insulation, and liner—allowing the construction team to dry-in the building faster than conventional construction methods, according to Kim Harrell, vice president of sales, All Weather Insulated Panels, Vacaville, California, and an MCA IMP council member. As opposed to conventional stud construction, for example, which requires contractors to wait for the sheathing, building wrap and insulation from multiple trades to be installed prior to interior finishing, IMPs are a one-shot building enclosure installation, significantly shortening project schedules and construction expenses, states Don Olsen, vice president of operations with the Hartland, Wisconsin-based A/E firm ESI Design Services. IMPs are ideal for all types of commercial and industrial buildings, including institutional, recreational, governmental, and manufacturing facilities. As spelled out in MCA’s Selection Guide for Insulated Metal Panels, IMPs can be erected at a rate of up to 5,000 square feet per 8-hour shift by a four-man crew on an industrial project, and up to 1,100 square feet per 8-hour shift by a four-man crew on an architectural project. And unlike some cladding materials, IMPs can be installed year round, even in adverse weather conditions. In terms of aesthetics, IMPs are a far cry from the technology’s original origins dating back to the 1960s, when IMPs were considered purely utilitarian and used to clad mechanical penthouses and other less-visible applications, according to Ferendeci. On the contrary, today’s IMPs come in stucco, woodgrain, and metallic finishes, with a wide variety of panel profiles from flush to deep ribbed to curved. With the fairly recent inclusion of polyvinylidene fluoride (PVDF) resin-based paint coatings, IMPs now benefit from exceptional color, durability, and chalk and fade resistance. “The ability to be customized in color, size, and pattern makes IMPs an economical method of providing a unique design expression, while satisfying the need for continuous insulation and exterior finish, all in one system,” summarizes Robin Edward Whitehurst, AIA, NCARB, LEED AP, technical principal, Bailey Edward, Chicago. 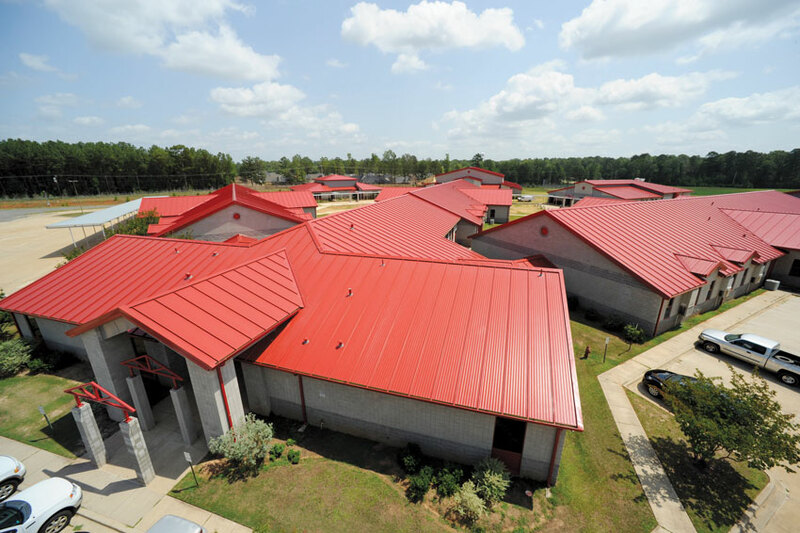 Based on its thermal insulation properties and speed of erection, Newman Marchive Carlisle architects specified more than 130,000 square feet of insulated metal panels to reroof Haughton Middle School’s eight-building campus in Haughton, Louisiana. Recognizing IMP’s aesthetic benefits on a deeper level, Saul Jabbawy, principal, director of design, EwingCole, Philadelphia, acknowledges breakthroughs in manipulating the metal’s surface to create a 3-D design, a wide variety of micro textures and colors, applying printed, films, or paints to mimic a variety of appearances, and the ability to create complex patterns and surface textures. 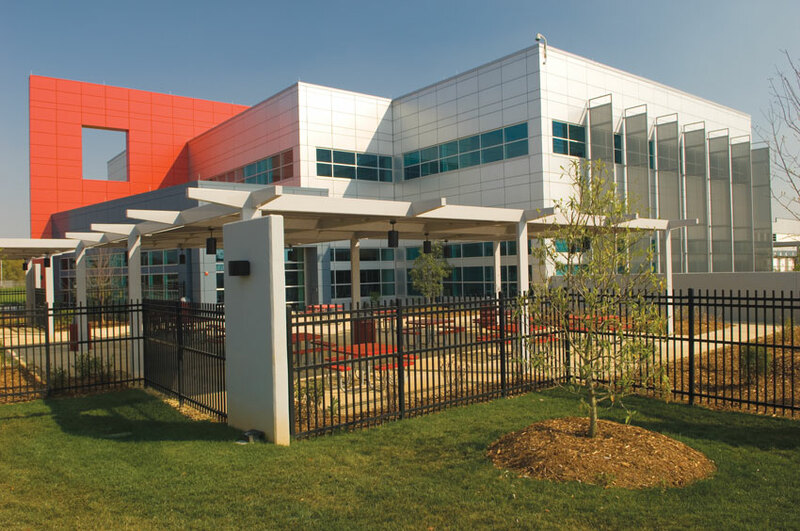 While non-insulated metal panels provide even more flexibility, their added cost as part of a rainscreen makes them an easy candidate for value engineering, whereas IMPs play triple duty as air and water barriers with insulation, helping them survive the VE process. Furthermore, a good number of quality IMP manufacturers in the marketplace have created a healthy competition, providing architects and building owners with a greater opportunity to explore custom colors and finishes at a competitive price point.